JCU is committed to collaboration with business, industry, government and the community to create lasting benefits for our region and a brighter future for the tropics generally. One of the greatest challenges facing regional universities like JCU is establishing a critical mass to address the significant research issues facing the region. To this end, the University has entered into several partnerships to consolidate strengths, particularly in tropical science and innovation, and build capacity by co-locating key research staff and infrastructure. The Australian Research Council (ARC) Centre of Excellence for Coral Reef Studies undertakes world-best integrated research for sustainable use and management of coral reefs. 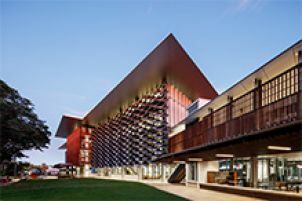 Funded in July 2005 under the Australian Research Council Centres of Excellence program this prestigious research centre is headquartered at JCU’s Townsville campus. The Centre is a partnership of JCU, Australian Institute of Marine Science (AIMS), Australian National University (ANU), Great Barrier Reef Marine Park Authority (GBRMPA), The University of Queensland (UQ) and the University of Western Australia (UWA). Collectively, the Centre creates the world's largest concentration of coral reef scientists. The Centres of Research Excellence scheme funds teams of researchers to pursue innovative, high quality collaborative research activities in priority areas. JCU was awarded $2.5 million (2010) to establish a national centre of research excellence to improve management of peripheral arterial disease (PAD). Led by Professor Jonathan Golledge, the centre brings together experts in PAD, clinical trials and guideline development and implementation from more than a dozen universities and hospitals throughout Australia. The Cairns Institute, established in 2009, focuses on advanced studies in the social sciences, humanities, law and business studies. It embraces more than 20 academic disciplines. The Institute complements and adds a vital human, social and cultural dimension to other renowned JCU research centres whose work has impact on the lives of communities in the region. The Institute will work to build an evidence base for policy, service and program development to enhance quality of life in Australia and overseas. The Tropical Landscapes Joint Venture is an unincorporated joint venture between JCU and the CSIRO. The joint venture was developed to more effectively deliver Research and Development to northern Australia. It is an innovative research partnership which brings together complementary strengths in ecology, management and fundamental research approaches to enhance analytical and exploratory capacity to address a wide spectrum of issues. 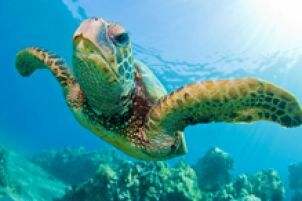 JCU operates in close corporation with the Australian Institute of Marine Science through its joint venture partnership AIMS@JCU. This agreement set outs to increase research capabilities, activities, outputs and outcomes, and to improve research training opportunities for students by undertaking collectively many activities which cannot be taken individually. Working together in the program fields of Aquaculture, Coastal Processes and Modeling, and Stress in Tropical Marine Systems also creates opportunities to develop new areas of research expertise. The Australian Tropical Herbarium is based in the ATFI Building at JCU’s Cairns campus and brings together the tropical plant specimen collections of the Australian National Herbarium (Atherton), the Queensland Herbarium (Mareeba) and the JCU Herbarium to form one of Australia’s largest and most diverse collections of tropical plant specimens. This joint venture partnership between JCU, CSIRO and the Commonwealth and Queensland governments incorporates a state of the art molecular biosciences laboratory and has the potential to develop into the world’s premier centre for discovering, describing and building an understanding of the plant and fungal biodiversity of tropical rainforest systems. Importantly, the ATH provides outstanding training opportunities for the next generation of plant and fungal taxonomists and biodiversity scientists. The Cooperative Research Centres (CRC) Program is an Australian Government funded initiative aimed at boosting world-class research and turning Australia’s scientific innovations into successful new products, services and technologies, and – in turn – making industries more efficient, productive and competitive. JCU is a participant in the Innovative Manufacturing CRC. Funded by the Commonwealth, the National Environmental Science Programme (NESP) is intended to assist decision-makers to understand, manage and conserve Australia’s environment by funding world-class biodiversity and climate science. NESP provides approximately $142.5m of funding and in-kind support from the Commonwealth, Universities, CSIRO, AIMS and a range of Government and non-Government research users across 6 hubs. The National Climate Change Adaptation Research Facility (NCCARF) is a partnership between the Australian Government and Griffith University, with a consortium of funding partners drawn from across the country. NCCARF is based at Griffith University’s Gold Coast campus, working in close partnership with the wider Australian climate change adaptation research community. JCU is one of the key partners and also hosts the NCCARF Natural Ecosystems Network, led by Professor Stephen Williams from the JCU Centre for Tropical Biodiversity and Climate Change. The Centre plays a significant role in the national adaptation of terrestrial biodiversity to global climate change.